The RDCA as a distributor through the Canadian Construction Association for the standard construction documents (CCDC). The CCDC documents are endorsed by the construction, engineering, and architecture community and are highly respected documents, contracts, and guides. RDCA members are encouraged to use CCDC and CCA documents whenever possible. Through the Alberta Construction Association, the RDCA provides provincial documents and guides available to purchase and download. The RDCA also offers a range of best practices guides from the Canadian Design-Build Institute. The Canadian Construction Documents Committee (CCDC) is a national joint committee responsible for the development, production and review of standard Canadian construction contracts, forms and guides. The full complement of CCDC products and seals can be purchased from the RDCA. CCA helps you simplify the way you conduct business and save time and money with its standard contract documents that are up-to-date, easy to understand and familiar to all parties. One of the objectives of the Canadian Design-Build Institute is to recommend ‘best practices’ policies and procedures to support design-build utilization. It is therefore a priority for the Institute to develop a practice manual that provides guidance and recommendations on the successful delivery of design-build. 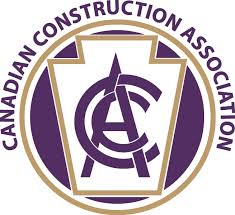 Since 1959 the Alberta Construction Association (ACA): Represents the collective voice for Alberta’s construction industry; Develops standard industry practices (procurement, payment, safety, etc.) and promotes highly skilled workforce. The documents provided by the ACA are specific to Alberta industry and legislation. Contact the RDCA office for copies.